Discovery area – give us your ideas! 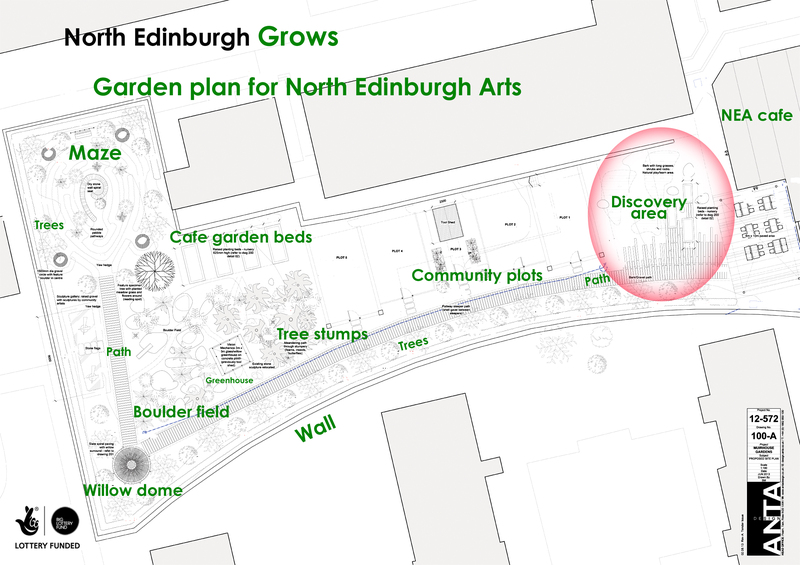 As part of our new garden, we’re working on plans for our Discovery Area – a fun, exciting area for play and discovery for children of all ages. 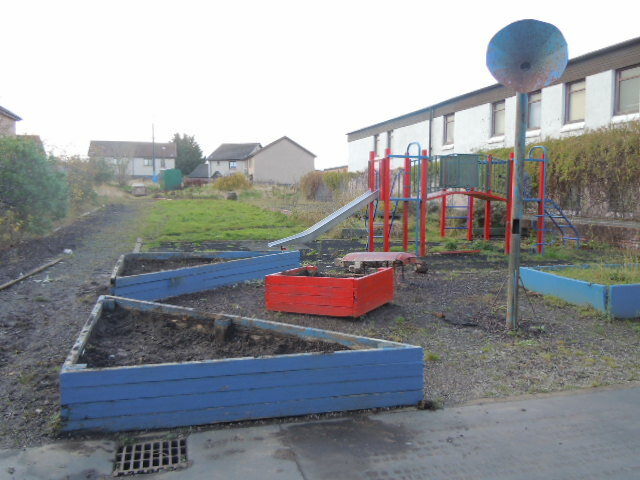 This will be in the area where the play equipment used to be – see the pics below for its location in the garden (right next to the building and viewable from the café doors). Our artist-in-residence, Natalie, is working on designs for this area. 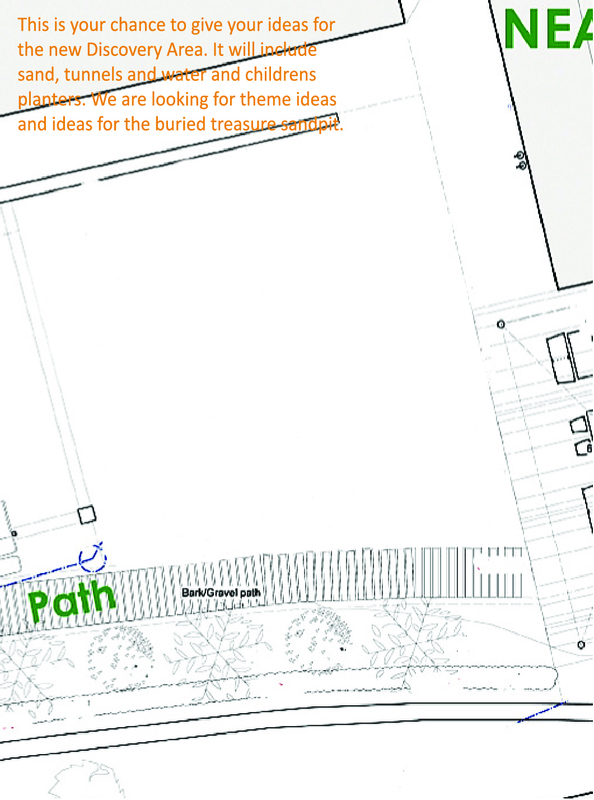 We’re hoping to make a big sandpit with areas for water play, as well as a buried treasure area. And we’d love some input from local children and their parents/carers! The Discovery Area will include sand, tunnels and water, and children’s planters. 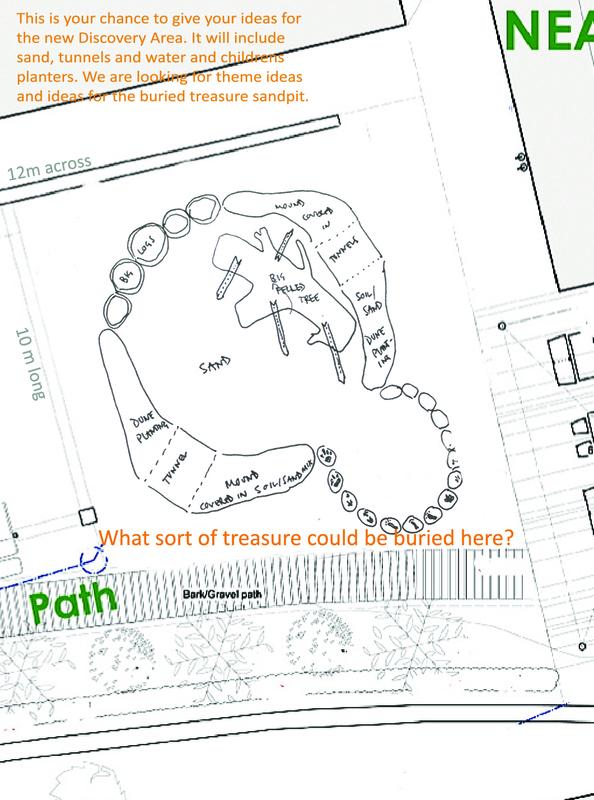 We’re looking for theme ideas and ideas for the buried treasure sandpit. And anything else you can think of! Underneath is a blank picture of the area, with a link to downloading one for yourself to draw on. If you’d like to download a blank and draw on it, please bring it in to us at North Edinburgh Arts or get in contact with us at northedinburghgrows@gmail.com with your ideas.